GH: Liz Confesses: Yep, I'm A Ho! In The Next Issue: Should Sonny go after AMC's Erica or OLTL's Blair or Marty? 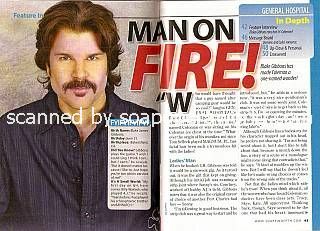 Click to be notified when 2-8-10 ABC Soaps In Depth BLAKE GIBBONS-FARAH FATH is back in stock!